Our most sophisticated of our Undercover Singer Wedding Acts features a combination of male and female singers. Together they sing operatic and Neapolitan highlights. It begins with the Singing Chef coming straight from the kitchen to serve his special dessert. He starts this fairytale performance surprising everyone with his fantastic voice. Disguised as waiting staff at your event, these three diverse vocalists can sing it all. From rousing Neapolitan serenades to Broadway show stoppers and swing standards, this all round crowd pleaser is a must for any event. A sophisticated and humorous three singer show, these wonderful performers will leave your guests amazed and delighted by the quality of the performance. Our sensational soprano will have your event really buzzing! She’ll raise the roof with her singing and chase the staff back to the kitchen! A top tenor and a tremendous baritone pose undercover as waiters or perhaps as French and Italian chefs. 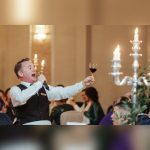 When they burst into song they’ll blow you away with their vocal prowess as they compete with each other, each trying to outshine the other, serenading your guests with their amazing voices. A fabulous act! Our trio of stunning sopranos will beguile your guests with their wonderful voices and dazzling set pieces. From opera & Broadway including the “Lakme Duet”, “The Prayer” and “O Mio Babbino Caro” to seductive and sultry songs by Marilyn Monroe & the Andrews Sisters, these dazzlingly divine divas are a guaranteed highlight at any event and for added wow the act can easily incorporate a male soloist to complement your evening’s entertainment. This singer can be in many disguises. 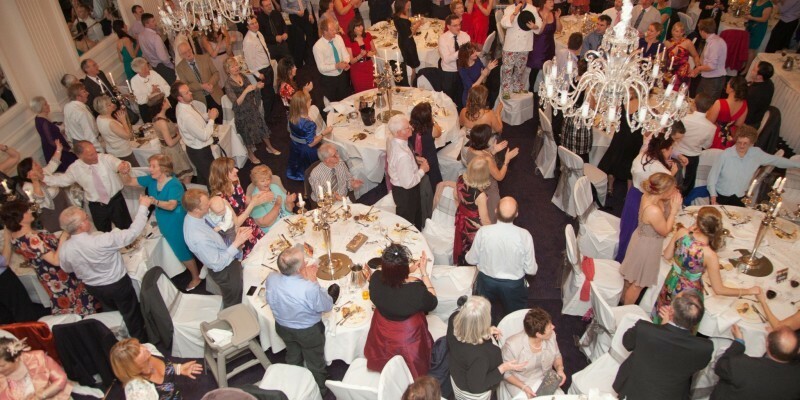 Fot example a Maitre D, MC, Guest Speaker, our the very popular – “Marco the Singing Chef” . Other ideas and options include Pizza Delivery Guy, Maintenance Worker, Undercover Cop to name but a few. Disguised at your event, our singer will astonish you and your guests when the show starts. Blessed with a fabulous rich and chocolaty voice, he sings up a sophisticated and humorous show. The actor will serenade your guests, and soon everyone will be singing along with their serviettes waving in the air.